What if you could earn an income from helping homes smell good? I’m serious. 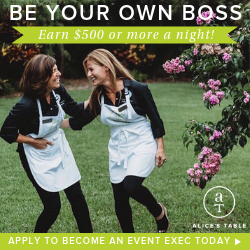 What if you could hobnob with friends and neighbors just to share your love of home fragrance products – and make money along the way? Well, you can! Scented candles are one of the most popular products to sell from home, and there are several long-standing, well-known direct sales candle companies to choose from. They also tend to have pretty generous commission rates, along with starter kits often costing $99 or less – a lot less, in some cases, including the opportunity to earn your kit for free! Check out my list of 6 direct-selling candle companies below to see for yourself! Scentsy is the answer to filling your home with wonderful scents while avoiding the flammable concerns of candles. This direct selling company provides solutions for both home and personal fragrances, offering a range of Scentsy Bars, diffusers, scented bath products, cleaning products and more using all-natural and essential oils. You can become a direct seller with Scentsy for only $99! Their starter kit contains a generous selection of products worth over $200, including a Beacon Warmer, several Scentsy bars, laundry and cleaning product samples, a Party Tester set of over 80 scents, paper products and more. Not to mention an adorable Stella the Unicorn Buddy Clip! Scentsy Consultants start earning at 20% commission and can increase that to 25% – with the chance to earn bonuses of up to 9%. Pink Zebra is one of the largest direct sellers of home fragrances with around 27,000 consultants, and has shown impressive growth for such a relatively young direct selling program – they only started in in 2011! Their signature products include sprinkles (scented wax beads), simmering lights (decorative lamps with warming dishes), simmer pots, scented jewelry, and more. You can even get glimmer candles, which they advertise as a custom candle you can make in 15 seconds. Their basic starter kit is only $99 and comes with a variety of fragrance samplers, a diffuser, a selection of sprinkles, testers of a few other products, a glimmer candle, and several more items. They also offer a 90 Day Quick Start Incentive, which lets new consultants make $225 in bonuses on their first $1000 in sales. Consultants also normally earn between 25% to 35% in commission, with the opportunity to earn team bonuses and downline commissions. PartyLite is the oldest company on my list, with its origins going all the way back to a Cape Cod kitchen 1909, when a New England schoolteacher named Mabel Baker made a bayberry candle. Fast forward 64 years to 1973, and this company with its tradition of making fine candles entered the direct selling market – now they have over 60,000 consultants! PartyLite has several starter kit options available, from $30 for a “Join the Party Kit” that lets you host a Find Your Signature party, to their $99 kit that comes with candle, scent, and holder samples (along with all the other business essentials). You can also host a party with your local consultant to earn your $99 starter kit for free! Individual consultants earn between 25% and 32% on personal sales, while those Leaders with a team can earn up to 38% on personal sales and 7% on their team’s sales. Gold Canyon is the second oldest company here, having been in business since 1997 – now boasting around 40,000 consultants in both the United States and Canada! They offer scented candles and home fresheners, along with décor like candle holders, Scent Pod Warmers, throw pillows, vases, and so much more. Gold Canyon’s starter kits range between $39-$99, with enrollment exclusive bundles that allow you to customize and focus your business on whichever line of products that you like most. They also offer a Quick Start Challenge which lets new consultants earn free product and bonuses in their first 60 days of business. Gold Canyon also offers training, a support center, and a personal business website. Consultants start at a base commission of 25%, with the opportunity to earn up to 36% – they even offer their consultants access to health insurance. Scent-Sations is the home of Mia Bella’s premium candles, made with environmentally-friendly wax and the highest quality fragrances. They’ve been in business for 15 years now, and have grown with around 7,000 direct sellers. Those interested in selling their candles can sign up online to purchase their products at or below wholesale prices – as part of either their Associate Program or their Autoship Program. Associate sellers can pay $14.95 per month to maintain a Scent-Sations website, and can also participate in their basic compensation plan (and earn commissions on anyone they sponsor into either program), so long as they meet the $39.95 sales minimum. Autoship Program membership includes a website, and varies in monthly cost from $39.95 to $100 – direct sellers can either select or receive pre-determined selections of Mia Bella products at below wholesale cost. Scent-Sations supports direct sellers in both the U.S. and Canada. Earned commissions start at 5% and can increase to 9%, with downline commissions ranging between 2.5% and 9%. JewelScent is a relatively new company – launched only 3 years ago in 2014 – that added a twist of mystery and anticipation to their scented products like candles, wax tarts, bath bombs and more. Each of their products – all made from premium ingredients – contain a foil-wrapped piece of fashion jewelry (or a golden token that can be redeemed for jewelry) valued between $15 and $7500. Consultants start with a Virtual Kit for $49 that gives them 20%-35% off purchases, a personalized online store, online training, and more. No minimum sales are required, payments are made bimonthly, and you can earn up to 35% commission on personal sales. You can also earn up to 10% commission from your team’s sales. They’ve also automated everything, so no need for you to handle your customer’s packages – they’re shipped directly to them. JewelScent is a direct selling opportunity that can be done entirely online, making it a good choice if you’re unable to do in-person home parties. Each of these six candle companies has something unique to offer, from custom scents and gorgeous candle holders to hidden jewelry and scented jewelry – along with a lot of fun perks (custom boots! dream vacations!) to becoming a direct seller with them. Have you sold with any of these companies before? Share your experiences! I know all of my readers are ready for their next opportunity.